Today’s post is going to be about “Layers.” Layering is a great way to keep warm in the colder fall months and a fun way to mix and match items you already have in your closet. It’s also an interesting way to make any outfit pop. Some items that I use to layer include: jackets, sweaters, and scarves. Jackets. Jackets are one of those items that I am obsessed with! I have a ton of jackets in my closet; specifically, blazers. Blazers are one of those items that I think is a must in everyone’s wardrobe. When I say I love blazers, a lot of people automatically think preppy suits. No! I wear blazers as a jacket in the fall and spring all the time. I love to wear them over sweaters, simple tees, button down shirts, and silky shirts. 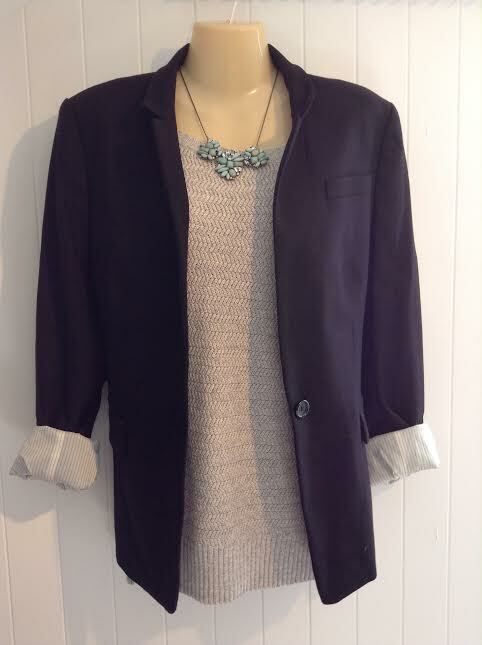 Below I layered a simple black blazer over a sweater and added a statement necklace for a polished look. I would wear this with a pair of jeans and high heels or boots (depending on the occasion). If you wanted to add more layers, you could add a button down shirt under the sweater. 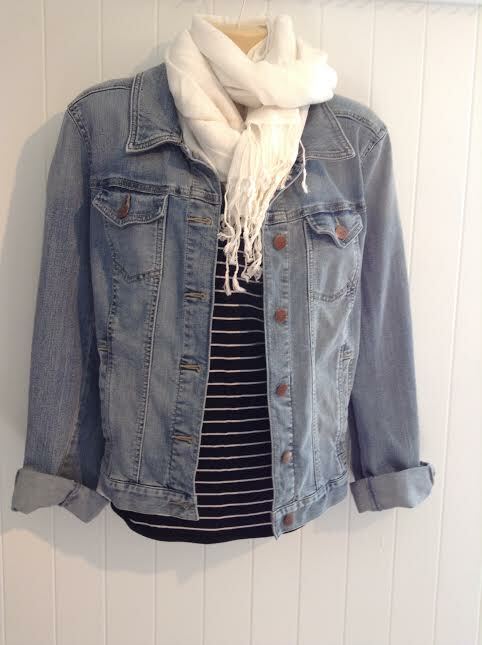 Next, continuing with the jacket theme, I completed the layering look with a long sleeved shirt, scarf, and jean jacket. This look is simple to achieve; these are all items that everyone already has in their closet. And if you don’t have a jean jacket, jean jackets are another one of those staple items that can be worn in the fall, spring, and summer over everything, it’s a must for any girls’ closet! Finally, my last layering outfit includes a quilted vest. I layered the vest with a button down shirt and sweater and added a statement necklace to add something extra to the outfit. 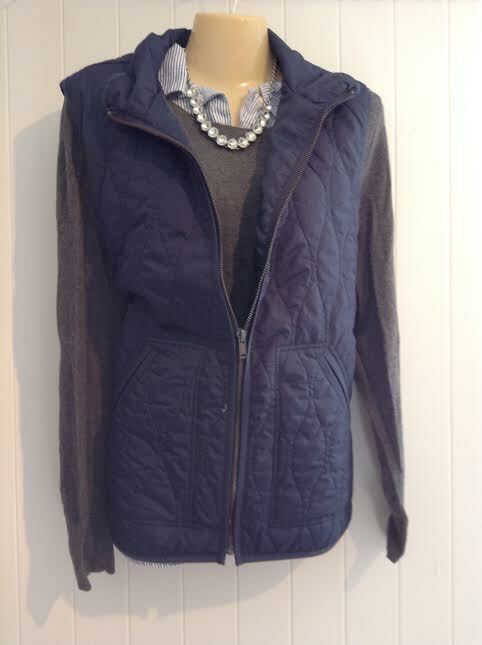 The layering look is perfect for this fall and can transition to the winter months. Layer your clothes to keep warm or just to look stylish! Comment below on your favorite layered looks!